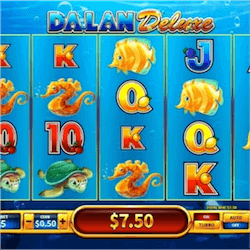 Asia facing developer Skywind Group has released another intriguing pokie called Da Lan Deluxe. While the developer is still growing and flexing its creative muscle, we have already seen that Skywind Group is no slouch when it comes to fun and rewarding gaming. 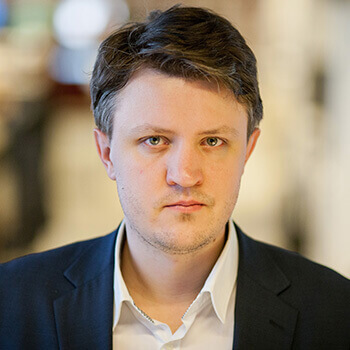 Their recent titles like Pirate Empress, Gem King and Big Lion have shown that while their graphics engine doesn’t exactly make them look like a premium developer, their features and game play elements included in their games more than make up for it. Da Lan stars a smiling Orca as its main protagonist and the pokie takes place underwater. You are joined by a group of more friendly underwater denizens including a seahorse and tortoise. The friendly Orca is a substitute symbol on the reels, while a pink clam is the bonus scatter. As with all Skywind Group Games, there is no RTP published for Da Lan so we can’t give an accurate idea of the pokie’s volatility. It does feature a larger 5×4 reel layout and there are 50 paylines to activate which may put some players off as this pushes up the minimum wager amount and would often make for a less rewarding pokie experience. With a max wager of 250 on offer, the jackpot is only 5000 which additionally may put even more pokie fans off trying out this title but they may be missing out on a lot of underwater fun. Da Lan Deluxe includes a great free games feature. The pink clams will award players 8 free spins regardless of how many of them trigger the feature. From here you will be taken to a pick me bonus game where you can pick form a group of closed clams to reveal either more free spins or reel multipliers. The additional spins you can win can be as high as 15 extra spins, while the multipliers you can win go up to 8x. There is an additional catch, to apply this multiplier to any wins, there must be at least one Orca wild symbol on the reels. Additionally this feature will retrigger if you can land another 3 of the pink clams on the reels. The Orca wild is additionally also responsible for the biggest payout in game. He can pay 1000 for 5 Orca symbols on a winning payline. All in all Skywind have created another quality slot, following in the footsteps of Pirate Empress.